Franco found the first owl pellet on the farm! 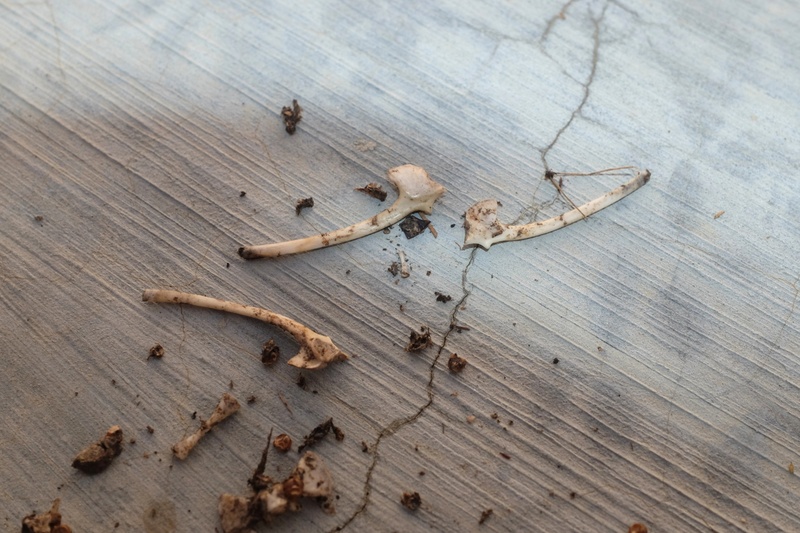 Owl pellets are NOT poop. Owls swallow their prey either whole or in large chunks. Since they don’t have teeth, they don’t chew their food. Instead, their food is slowly digested in their stomachs. 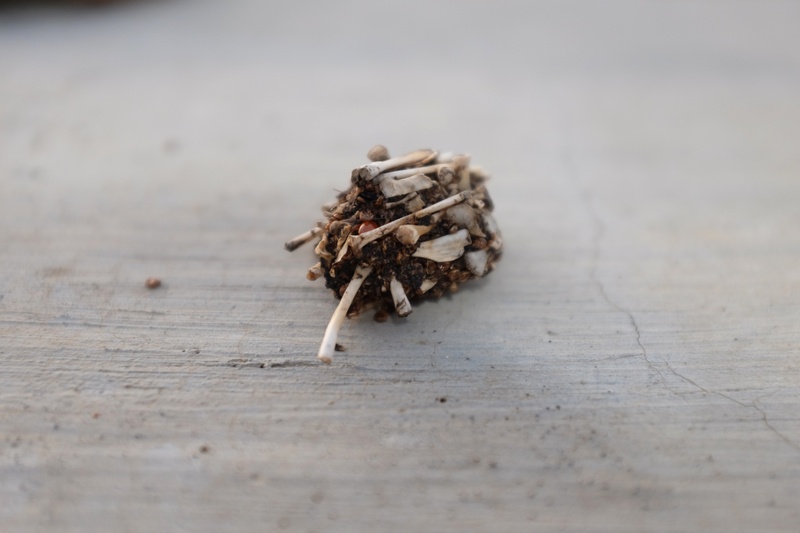 Owl pellets are the hard, undigested bits from an owl’s meal that are regurgitated in the form of a pellet. 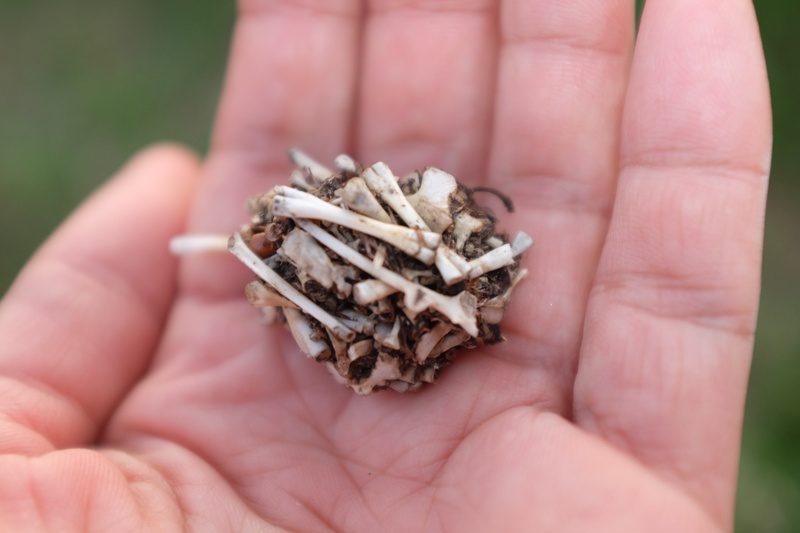 Things like bones and fur that cannot be digested are formed into a pellet in the gizzard. The owl has to cough out this pellet before it can eat again. I wish I was like one of those schoolchildren in the US or Canada that studied owl pellets for Science class. 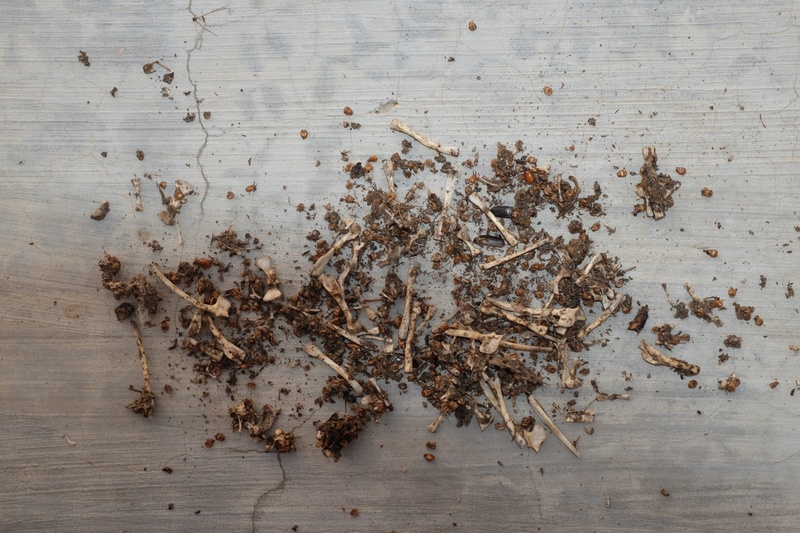 It’s possible to put together almost an entire skeleton from the contents of an owl pellet! This is exciting stuff! There are even companies that sell sterilized owl pellets just for schoolkids to study. I now realize that there’s a proper way to dissect an owl pellet. 1. Don’t take random shots. Stick a ruler in the picture to indicate the size of the pellet. 2. Don’t smash the pellet and scatter the contents. Some of the bones might break! Instead you should carefully tease the contents apart using tweezers, forceps or cocktail sticks. For very hard pellets, soak them in water with some disinfectant until the contents sink. 3. 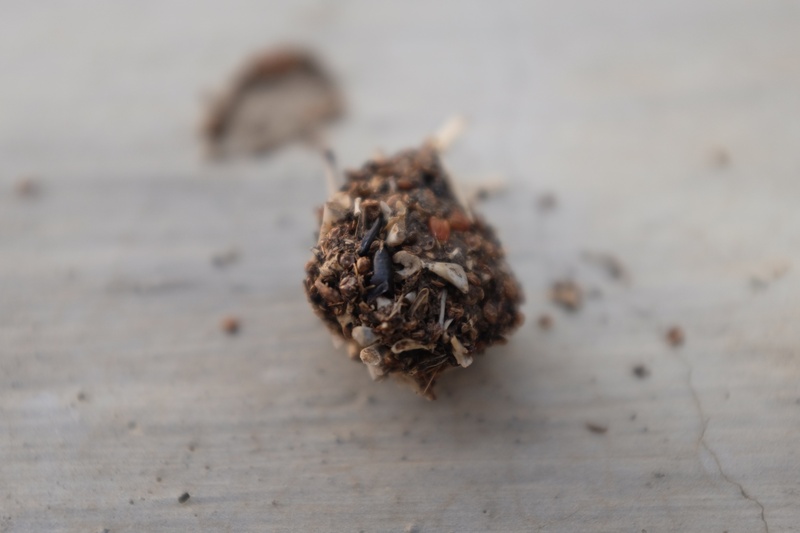 Don’t just leave the pellet bits on the ground. You can study the contents, identify them, and even display the contents! You can learn a lot about the habits of the bird that produced the pellet — when it hunts, where it hunts, how much it eats, and how its diet changes. So, now I know what to do the next time I find an owl pellet! Yup cool and gross. I probably should have worn surgical type gloves. Another fun fact — other bird like hawks and eagles also produce pellets. Really? Do Merlins? I have a family of Merlins nesting right in front of my cottage. 🙂 I have a few photos on my blog. Gorgeous birds!!! Yes they do! How cool that they’re nesting right there. Nice! Next Next post: Dear Walis, It’s Over.